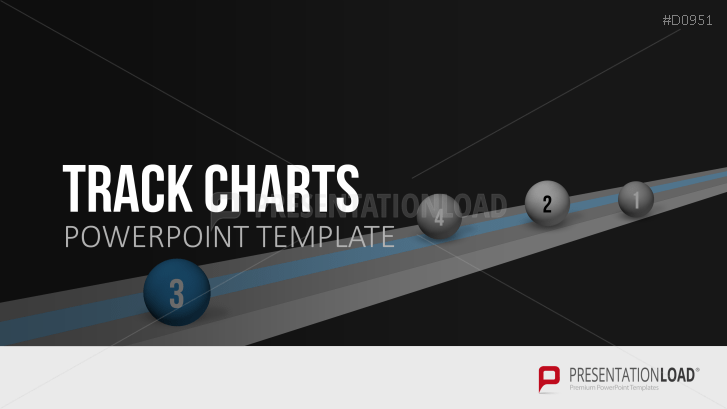 Illustrate company goals and project stages in Microsoft PowerPoint by using comprehensive track charts graphics. A 24-slide presentation set realizes an adequate illustration of business facts and content. Projects travel a long way and “Track Charts” display these distances visually and literally. Design and arrange professional business presentations and make use of pre-designed tools such as track charts to visualize content and ideas. With the help of track charts you illustrate stages, projects and company goals in an attractive manner. Special features are a variety of track chart graphics combined in different designs. Color, size of elements and many other features can be edited and easily adjusted. Start editing now. Aways appreciate your work and new designs. They soundly prove quality for the buck.